So as the story goes was looking for a little quick build. A small italian tankette I thought would fit the bill. One thing should have made me think otherwise....ITALERI. Despite being a relatively pricey model for a small light tank the kit doesn't come close to what we have come to expect from a plastic model kit these days. The main problems are the poor fit, soft details, rounded corners and oversimplified or completely incorrect areas. 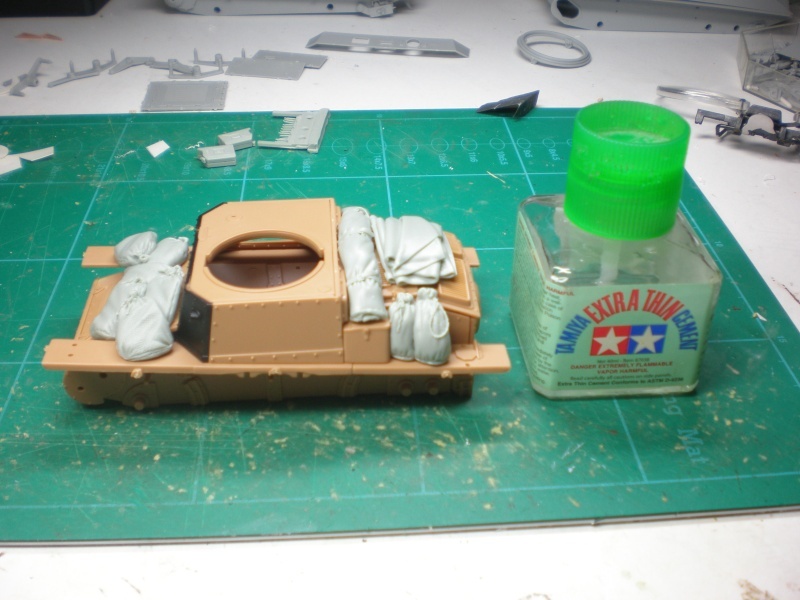 The turret needs replacement too (or at least a long session of adding rivets). Nevertheless I spent a number of weeks bogged down trying to make this little tank go together and not without a lot of swearing or cursing I manage to get to what looks like an acceptable rendition of sorts. The tank as you can see is tiny. Kit fenders will be replaced by etch from Voyager. Stowage is from BlackDog.